Thoughts That Go Bump in the Night: Farewell. 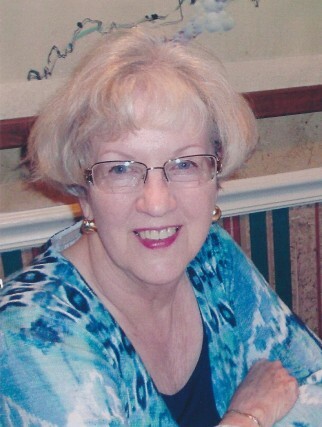 Joan Eleanor “Jo-El” Taylor Sewell, age 75, beloved wife, mother, grandmother, and friend, lost her short but valiant battle with brain cancer on Easter Sunday, April 16, 2017, in the company of her family at Grace Home in Shreveport, Louisiana. She was born July 8, 1941 to Harry M. and Catherine (Riley) Taylor, in Elmira, New York. The family relocated to Presque Isle, Maine, where she grew up. Her siblings include Elizabeth (Betty) and husband Jack May in Florida, Harry and Odette Taylor in Vermont, and Timothy and Becki Taylor in Maine. She is survived by her husband of twenty four years, George Sewell, and his daughter Genia Michaela, and her children Rene Pallay McDonald and husband Scott, Greg Pallay and wife Terresa, Robert Pallay and wife Tamara, and long time friends Tom and Shirley Milam of Bossier City. She asked that any memorial donations be made to St. Jude Childrens Hospital. Her request for no funeral or memorial service is honored. So sorry for your loss George. Praying for you at this time to find peace and comfort. George, I am so sorry. What a beautifully written tribute to her. Prayers and love! Gale and I extend our heartfelt condolences, George, and we lift you both up in prayer.